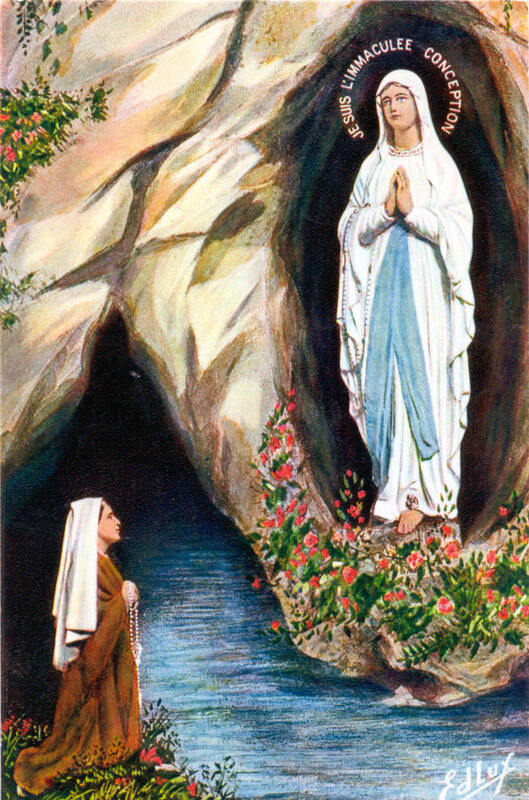 The gift was a beautiful clear spring, coming forth from the base of the rock at a point where Bernadette had obediently dug with her bare hands in the mud, for the Lady had directed that she drink at The Spring. The waters soon displayed miraculous healing properties, and pilgrims began their journeys to Lourdes to bathe in the water and drink at The Spring. Ever since The Spring appeared, countless millions have found living waters at this spot where the Blessed Virgin spoke to a little girl of no account. When Bernadette at last asked the beautiful Lady who she was, the vision confessed, with awesome simplicity, “I am the Immaculate Conception!” Unburdened from sin from the beginning, she showed what the Lord wants for us at the end. Her battle is ours, a fight against sin. If we would only repent of our sins, the calamities that threaten the humans would never occur. There would be healing and peace that issues from the heart of God, like water from The Rock. Like Mary, we dwell within the “old rock” of the Church, the Rock of Christ. The waters flowing from it in the mystery of Baptism would cleanse us and refresh us with grace. The miracles at Lourdes continue until today to confront us with the message of Mary and the constant availability of God’s healing and forgiveness. The Spring is a reminder that the springs of “living water” are waiting for the people of the world, that they may come and “drink freely, without pay.” The burden of sin upon us will be lifted, its stain washed away. The message grows more emphatic with Lourdes. Sin is the core of the problem. The world must change. The Darkness is gathering. Jesus never made light of the cost involved in following Him. in fact, He made it painfully clear that it was a rugged life of rigid self-denial. it entailed a whole new set of attitudes. it was not the natural, normal way a person would ordinarily live, and this is what made the price so prohibitive to most people. in brief, seven fresh attitudes have to be acquired. they are the equivalent of progressive forward movements onto new ground with God. if one follows them, he will discover fresh pasturage; new abundant life; and increased health, wholesomeness, and holiness in his walk with God. nothing will please Him more, and most certainly no other activity on our part will or can result in as great a benefit to other lives around us. 1. instead of loving myself most, I am willing to love Christ best and others more than myself. 2. instead of being one of the crowd, I am willing to be singled out, set apart from the gang. 3. instead of insisting on my rights, I am willing to forego them in favor of others. 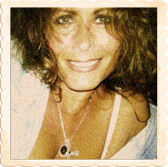 4. instead of being “the boss”, I am willing to be at the bottom of the heap. 5. instead of finding fault with life and always asking “why?”, I am willing to accept every circumstance of life in an attitude of gratitude. 6. instead of exercising and asserting my will, I am willing to learn to cooperate with His wishes and comply with His will. 7. instead of choosing my own way, I am willing to choose to follow Christ’s way; simply to do what He asks me to do.